Sure, I would have liked it if Atlus had announced Persona 5, but we know that's coming. 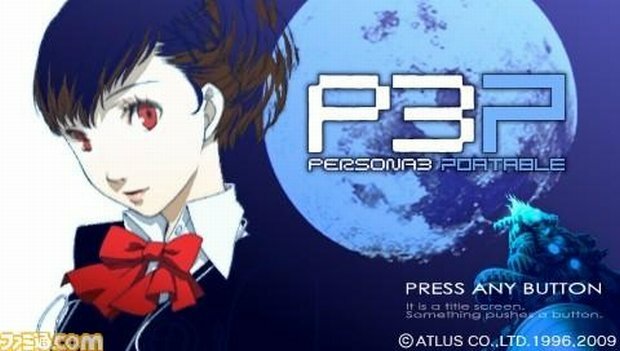 I'm such a Persona addict that any excuse to replay one of the games in the series is a good enough excuse for me, and the announcement of Persona 3 for PSP works just fine for that purpose. A whole slew of new pictures and video turned up on Famitsu recently, and I thought you fellow Persona addicts might like a look at them. As you can see from the two videos after the jump, a lot of the look has been tweaked to fit the PSP's limitations. You can also hear some of the new music in these clips, which I like a lot. You can also get a sneak peek at that male attendant in the Velvet Room (yum). Also, voice actress Marina Inoue has been confirmed for the voice of the female protagonist, who you may know from a little role she did as Yoko of Gurren Lagann. Seriously ... I'm salivating here. Who's with me? Also, can I date Akihiko yet or what?